The 6th JCS International Symposium on Theoretical Chemistry (JCS-2015) will be held in the Congress Center of the Slovak Academy of Sciences in Smolenice Castle situated in the lower Carpathian mountains about 60 km from Bratislava (GPS: N48.51359, E17.43232). 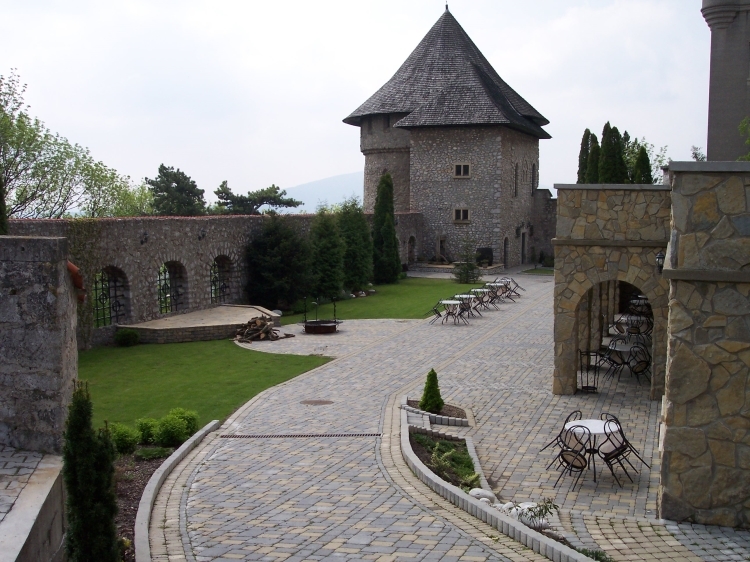 The original castle was rebuilt in the beginning of the previous century in the romantic style. Recently, the castle has been renovated. Accommodation is provided in suites and rooms with one to three beds, all with their own bathrooms. Participants can relax in the quiet corners of the castle or in its garden or can take a walk in the scenic parks surrounding the castle. With a GPS device available, you can conveniently navigate to the coordinates 48°30′49\″N 17°25′56\″E. For flying to Bratislava it is convenient to use the Vienna International Airport (Schwechat, Austria), which is located about 52 km from Bratislava. There is a very good bus connection between the airport and Bratislava: a bus from the Vienna airport to Bratislava goes at least once every hour. The price for the bus ticket to Bratislava is about 8 Euros. The bus stop is located directly in front of the arrival hall. On October 11, 2015, a shuttle bus from Bratislava to the Smolenice castle will wait for the participants at the Hurbanovo námestie in the center of Bratislava (see map) at 10:00. It is a walking distance from the Presidential Palace, IBIS hotel, Tatra hotel and so on. The bus will have the sign "JCS-2015" on it. There will be a person from the organizing committee with the same sign who will collect the people. The bus will go directly to Smolenice castle. On October 14 2015, the shuttle bus from Smolenice Castle will take participants to Bratislava. The departure time is 17:00. Those who are interested in a limousine service (taxi) from the Vienna airport to Bratislava (price is about 55 Euro per car) please contact the organizers (e-mail: jcs-2015@savba.sk).